Among the most essential design enhancing elements in web and print graphic designing is texture. Texture performs a huge part for all web designers and graphic artists. It is used as backgrounds on websites as well as on certain portions of just about any graphic design works and printed materials. Texture can add a depth and realistic feel to an artwork. Therefore, if you are going to apply an appropriate texture to your design you can definitely transform it into an attractive piece of art. In today’s post, we provide you with a showcase of texture with a regular pattern of raised diamonds – the diamond plate texture. 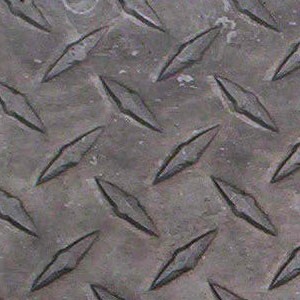 A diamond plate texture is perfect to use as backgrounds on industrial or construction design works. This silver, rusty and black metallic texture can also make a great layout for your web and printed designs.